Songs for Advent : Reform worship. Advent songs are hard to come by. During the four weeks of Advent, many worship leaders, who try to intentionally observe the Christian Year, end up out of frustration resorting to the premature singing of the blissful songs of Jesus' birth. Sure, it's okay to sing and enjoy our favorite Christmas songs before Christmas - Jesus has already been born! - but all I'm saying is that singing them early can hinder our full participation in the spirit of Advent, the season of expectation and preparation for the coming Christ. The problem is, we have four Sundays of Advent and not enough Advent songs to fill our set lists, that is, without committing the sacrilege of duplicating a song. But don't worry, if we keep with the Christian Year, we have twelve days (from Dec. 25 to Jan. 5), including two Sundays, to sing our cheery Christmas songs. Then again, most of us are sick of those songs by the time Christmas rolls around. Oh, the cultural predicaments we worship leaders find ourselves in. Here's what I suggest (and it's only the Second Week of Advent, so you have plenty of time to redeem yourself): Much like we avoid singing "Alleluia" through Lent until Easter comes, hold off singing "Happy Birthday to Jesus" through Advent until Christmas arrives. Instead, sing Advent songs now through Christmas Eve. But don't just sing Advent songs, tell the people why you're singing them. Explain to them the setting of the season - the people of God in exile, longing for the coming Messiah. Give them a little history - basically the entire second half of the OT revolves around the story of God's people in exile, awaiting the coming of a Savior. Help them feel the emotions of the season - suspense, anticipation, a bit of anxiety. Bring out the themes of the season - self-helplessness, hope, coming joy. Lead them into the actions of the season - waiting, repentance, lament. 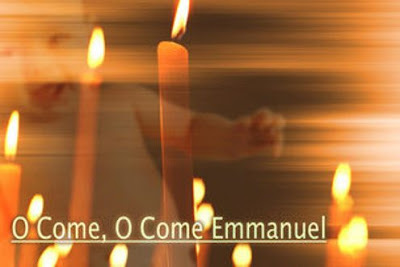 If you are in a contemporary church, chances are that many of your congregants have little or no idea what Advent is. Teach them. If you don't, you will make them mad by refusing to sing "Joy to the World" before December 25th. Here are some Advent songs that I have found to be helpful in leading our church in the proper observance of Advent. As you can see, the list is relatively small. The contemporary songs below were probably not written specifically for the season of Advent, but they certainly fit. Let's help each other by adding to the list. Think of songs that place us in the setting of exile, in the desperate need of a Savior, songs of repentance and seeking God, of waiting and longing for Jesus to come, including His Second Coming. Special prize for someone who names a good, congregational song about the Second Coming of Jesus ("Days of Elijah" doesn't count). "Come Thou Long Expected Jesus"
"Create in Me a Clean Heart" by Keith Green? Yes, I agree, Advent songs are hard to find. I've used many on your list above in years past. I would also add "El Shaddai" by Michael Card and "The Voice of One" by Julie Meyer, a bit lesser known, but a nice song about John the Baptist preapring the way.